Florals? For Spring? Groundbreaking. The ironic thing about these photos was that I took them over winter break, not now which is spring break! I was fortunate to go to Clearwater Beach, Florida, over winter break, but decided to stay local for my current spring break. I would have liked to have gone somewhere warm, but it didn’t work out this time around. Anyway, I’m still so so so happy that I am on break right now. I feel like I’ve already done so many things and have caught up on my personal life. I’ll highlight some of the fun things I’ve done in my March chapter later on this week. Back to this outfit. 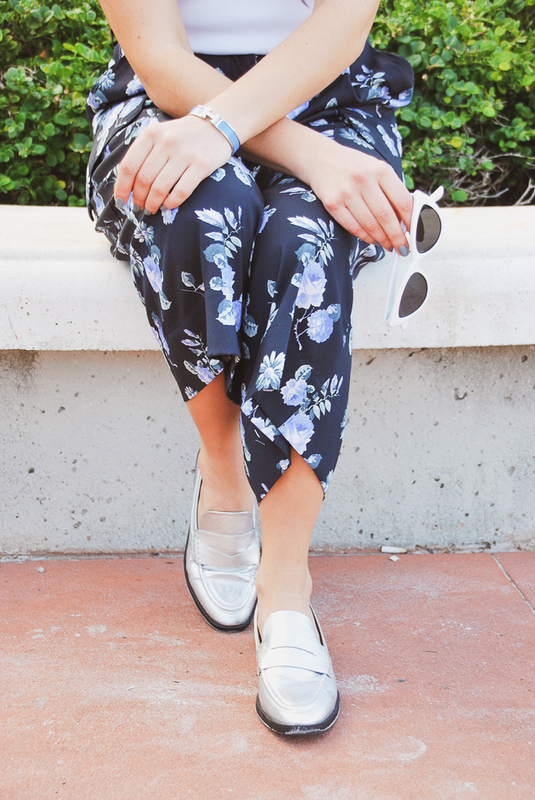 How fun are these floral cropped wide leg cargo silk pants?! They were the most comfortable pants ever! I know florals aren’t groundbreaking for spring, but they are a must. They just instantly boosted my mood when I wore them (even print flowers do that to me – see what I’m talking about here). In warmer months, I tend to wear a lot of blues, so these pants were a dream. I added silver loafers and a silver belt for that funky metallic aspect and of course I had to wear my Honey shirt. Since Florida was hot and I’m hoping Chicago will be hot soon too, the lightweight outfit was perfect to look stylish in and not sweat through it. Now I’m going to dream about palm trees 🌴 and start planning my summer travel ☀️. Is anybody planning on going somewhere soon? I’d love to know in the comments below. Ahhh! I would have loved being somewhere warm this week too but we still had a pretty good time. 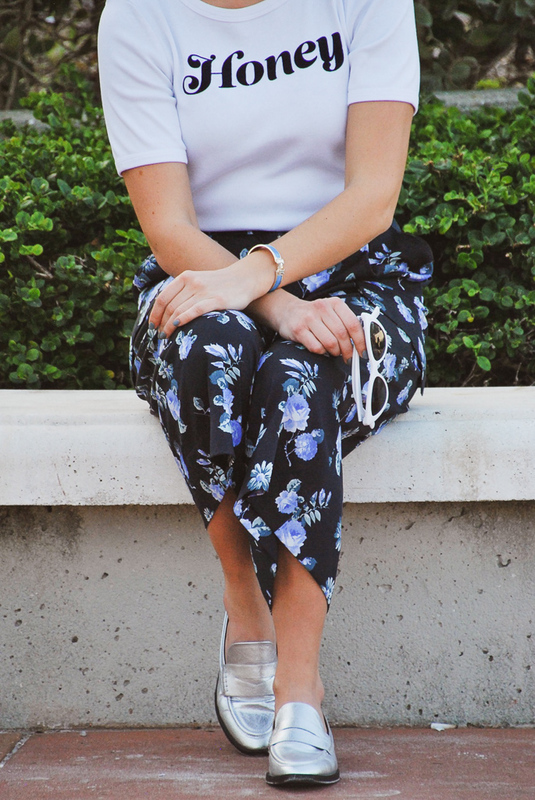 This outfit is adorable so chic and effortless!